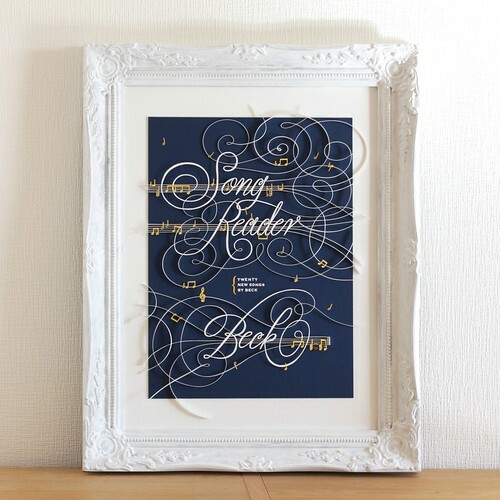 Well-known typographer Jessica Hische created the cover art... an appealing design with graceful scrolls extending from the words. Beck's avid fan, Ham, who runs Japanese fan site Hambeck, is not a musician. Nonetheless, she was inspired to contribute to the project by recreating the cover design via her paper cutting and quilling talent. Ham's art is extraordinary, as you can see in this time-lapse video. 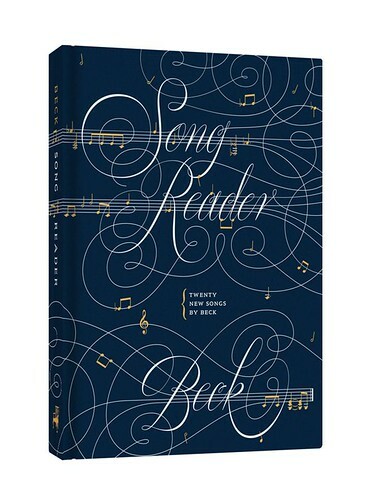 Not only that... her mesmerizing motions are backed by the singing of one of the book's songs by Beck fan Max Miller, who is accompanied by Rachel Roth. The recording allowed Ham's work to be shared on Songreader.net... a win for all involved! Ham brings the graphic design to life as we watch her steady fingers apply the tiniest dots of glue and position hand cut scrolls, letters, and musical notes. For the curious, Ham used an NT Cutter art knife and quick-drying Konishi glue. As a music fan, I can completely appreciate her passion and the many hours devoted to this project. Thanks to Palomaria for alerting me to the video. Wow....awesome :) Thanks for sharing. what a great talent Ham is. Even though the video was time lapsed I still learned a few techniques....and yes I wanted to know what type of knife and glue were used. Amazing! What a wonderful video. Fantastic!Lovely! thanks for sharing very helpful video. I have been watching the video again and again. I am truly amazed at Ham's talent. How well she takes the strips over other elements. I learnt so much about use of glue from her video. ooooohhh....wht a stunner it is...???? I love Beck and have been a fan of his for years. He always pushes the envelope and tries new things. I admire him for that and feel that's a sign of a true artist. I can't wait to hear what his fans do with this album. 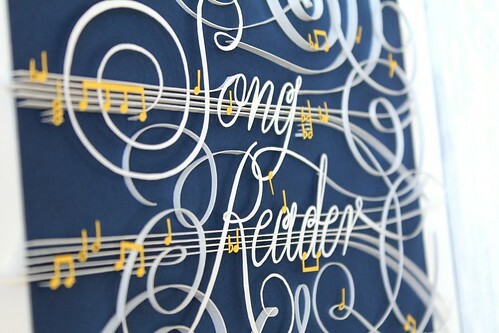 How wonderful that the album artwork has been re-made with paper art! 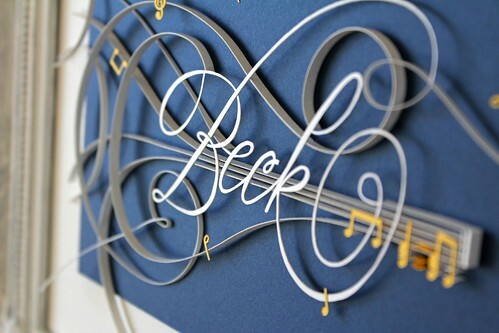 Long live paper art and quilling! Ham's work is so impressive. Stunningly Beautiful...what a treat to be able to watch the process! Thank you soooooo much! Excuse me as I go pick up my jaw off the ground... Simply amazing and inspiring!